Hey are you a startup? What typically defines start-up is a brilliant idea and rapid growth plan. The brilliant idea could be development of a product or a service; it could also be a delivery mechanism. But sales remain an essential component for any of the above stated scenario. You obviously do not want to be a startup forever. Where do you wish to see your company in the next 5 years. SalesFundaa CRM is one of the first tools that should be implemented in any startup if they need to grow to the next level. Because it helps you to be in control of your sales cycle which is the basic revenue generation factor. For surviving the rapid boom, planning of sales growth is immensely important. If start-ups can manage sales properly, then their growth plan is sure to succeed. A good Customer Relationship Management (CRM) can help start-ups to achieve their Sales targets and scale the operations very efficiently. A CRM for Start Ups, such as Salesfundaa, is much more streamlined and easier to work with. sales orders and invoicing is extremely useful. That is why a CRM is important. When you hit a certain number of opportunities (like more than 100 annually), it becomes inefficient to manually handle everything. A CRM platform will help you quickly organize and analyze your data and identify your ideal customer base. 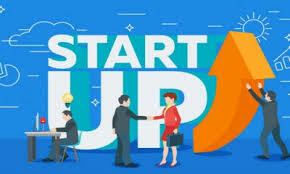 Not only that, a platform for your customers to meet and discuss central ideas and thus identify potential areas of growth is crucial to the development of your own startup. What SalesFundaa CRM has in store for Startups? · SalesFundaa CRM allows you to make a conscious effort at organizing the business. A well-defined process would go a long way in facilitating this goal. SalesFundaa CRM is a one stop shop while looking for a management tool. · Start-ups generally comprise small but effective teams. SalesFundaa CRM has all the information about customers (and potential customers) on a centralized platform making it easy for teams to access information and makes effective decisions. It also provides a very effective mobile app, which provides customer information at your fingertips. Contact us at Salesfundaa CRM on- 9235 35 35 35 for a free Demo of Salesfundaa CRM software. You can also leave your comments on the box below.